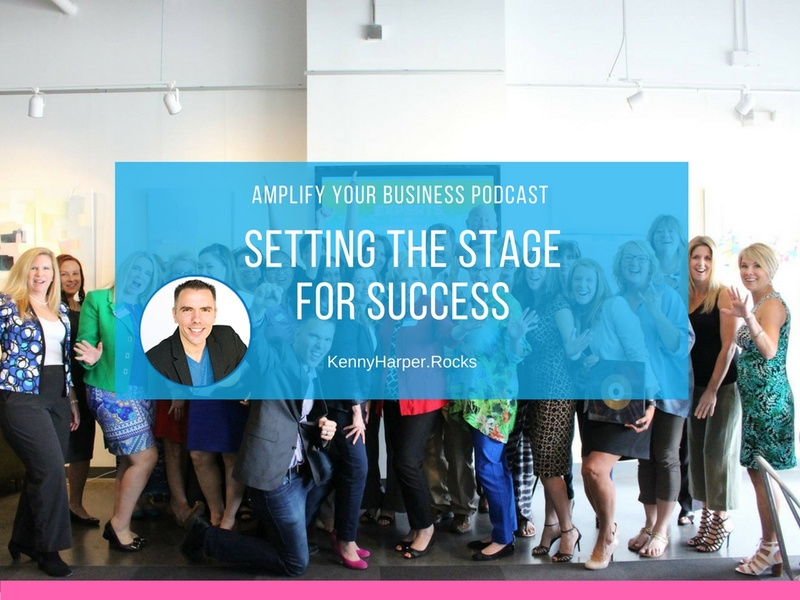 In this article I’m kicking off my new podcast Amplify Your Business™ which showcases ideas in the top business owners and entrepreneurs to inspire and empower you to thrive in your life, business and higher purpose. 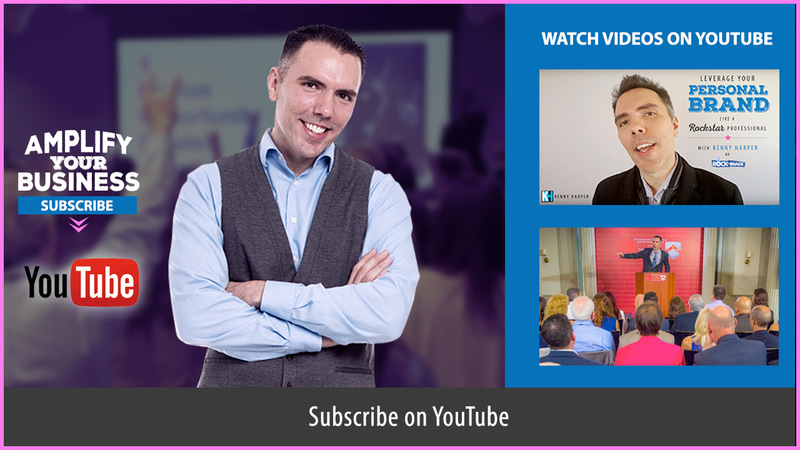 I’ll be sharing inspiration and insights you can put into action in each session amplify your business is dedicated to you in your success and fulfillment. Get ready to amplify your business. In this kickoff session I aim to set the stage. Before any great performance of a lifetime you’ve got to set the stage and what I aim to do is just share a little bit about what I intend to do in this podcast. 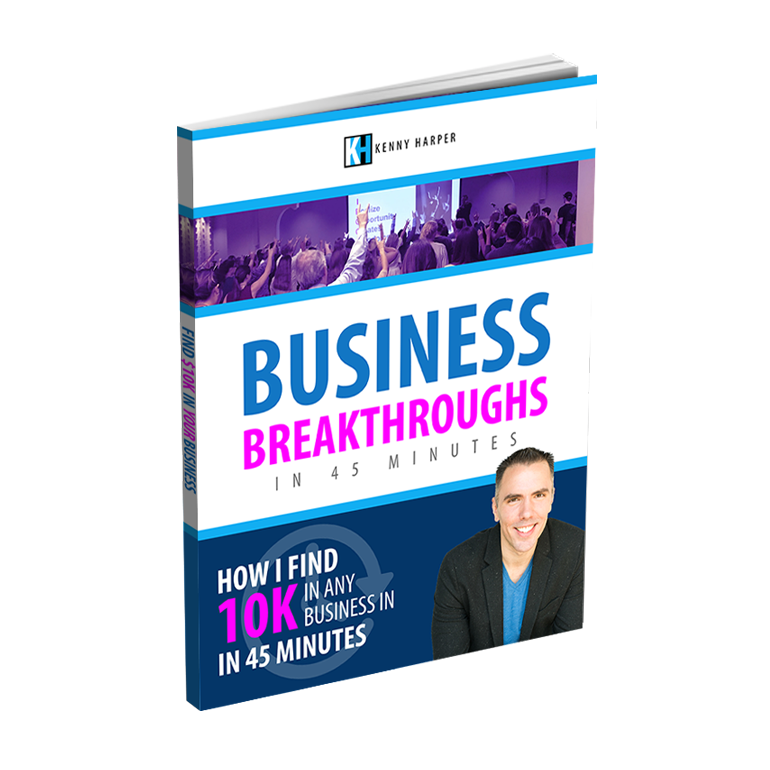 I am intending this series for business owners and entrepreneurs or maybe just passion professionals that really want to do something and achieve something and they’re looking for a little bit of inspiration, a little bit of insights and some direction. The goal is overall being able to take you from where you’re at now and amplify to your next level. It’s not what you know, it’s what you do or if you know and don’t do, it’s as if you didn’t know. So what is this Rockstar Professional thing all about? Setting your intention, taking action, making things happen, using your gifts talents and making it better for the world by providing a service providing value and I came up with this Rockstar Professional concept through my life journey. Let me take you back, I’ll tell you a little story. When I was raised I was raised in Louisville Kentucky, I had a creative imagination, I liked to make my own games, my own make-believe worlds, had a loving family and had a good upbringing. I was very fortunate now as I grew up. Being creative I realized I was a little bit different than some other children. I lived in my own little imaginary world as many children do. I didn’t exactly know where I was going to put my time and attention for when I grew up I didn’t know what I wanted to do but when I was 14 years old my cousin took me to a concert a Metallica rock concert and it blew my mind! These guys are up on the stage totally rocking it, there’s flashing lights, there’s booming bass, there’s this crowd and the whole place is lit up filled with energy. They’re having a good time, I’m having a good time and I felt so alive. At that point in my life didn’t know what I wanted to do with my future but I did know I wanted to use my unique gifts, I wanted to follow my true passion and I wanted to serve a higher purpose. Seeing those rock stars up on the stage inspired me to learn rock music, so of course I got my guitar and made friends with others who knew music. We formed a band and started recording music, playing shows and it was great. You know what they say follow your passion and the money will follow right? Well there is a partial truth to that, it’s not just enough to be passionate. There’s starving artists out there right? Have you’ve been passionate about something giving it a go and then not being able to make it like work for a career? Sometimes we have to let some things go or change but do we really have to or could you find a way to make it work? Well as I grew up and started to change my direction I realized it was gonna be hard for me to succeed in the music world because I didn’t know the business of playing music for a profession. Luckily, I connected with a buddy of mine who was going school for multimedia so he was creating videos audio and using his creativity and he’s also getting paid to do it. This was much better than playing a music show and getting a small percentage of the door cover to pay for gas money. He was actually getting paid some really good money so he could make a living. I thought, “Wow, okay, I like playing music but I also need to make a living that I will have to bootstrap it to survive so I ended up changing my focus of using my creativity and got into multimedia, graphic design and marketing. I started in the industry growing in the career of marketing first and worked at advertising agencies. Then after doing that for a while I started my own business and things started to grow but there was a problem see I hadn’t learned everything there was to learn about business. That’s just not what I had learned I was following my passion and if you don’t know the business part, if you don’t know how to amplify your business, if you don’t know how to grow it, you’re gonna run into challenges. A majority of businesses fail and they fail because they don’t have enough business coming in or they’re not operating it correctly, they get burnt out or bought out. I have lived through some of these experiences myself and I really come to understand something you need three things to make it all work. #1) Number one you need status to be a Rockstar Professional you need to have Status to elevate your image, elevate your persona to where you’re differentiating yourself and attracting opportunities. If you can’t get people that come to your show you’re gonna have problems selling out the house right? Status is important and that’s why there’s a focus of personal branding in Amplify Your Business. You need to elevate your personal brand. People need to know who you are, what you’re about, the purpose you serve and what makes you unique. #2) The next thing you need is a System. Healthy businesses run with systems. Healthy businesses grow and in order to do that you need to be able to do things systematically. With this you can produce systematic results. #3) Last but not least you need Soul. You need to have a higher purpose for what you’re doing. It can’t just be about you. It can’t just be about making a lot of money. You can make a lot of money but your business can’t just be about that. You gotta have something that provides value to everyone you’re serving. Have a bigger reason for yourself why you’re doing what you’re doing. Together Status plus Systems plus Soul equals Freedom. When you Claim Your Stage as Rockstar Professional you are really commanding that you’re gonna go out and achieve you’re Bold Vision. That’s what this is all about. That’s what the spirit of Amplify Your Business. I want you to use your unique gifts, follow your true passion and serve your higher purpose to experience more freedom and fulfillment. You can do this but you need to have focus. You need to be able to play the right cards. You need to actually play every ace because growing a business is very challenging. I’ve had some wins and I’ve also had some challenges. I’ve experienced awesome times and I’ve also had times where I’ve lost opportunities. By following a proven path, we can avoid the challenges and develop a better trajectory for your future, taking you to more freedom and fulfillment in your life so you can – you can do what you want to do and enjoy what’s important to you. That’s life all about. To get started what I’d like to do to get just get you hooked up right and start Amplifying Your Business. 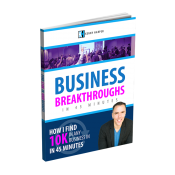 I’d like you to get your own copy of Amplify Your Business now you can go to AmplifyYourBusiness.ROCKS and on the website you can download a free digital copy of the book. If you like a physical copy, you can also order one Amazon. There are things you can write down in the book. Read the book, follow along, take the actions because ultimately when you take the right actions, you’re going to the right results. We are using the Rockstar Professionals Business Growth System the framework, the blueprint, the foundation that you can follow to elevate your vision, elevate your performance, claim your stage and Amplify Your Business.